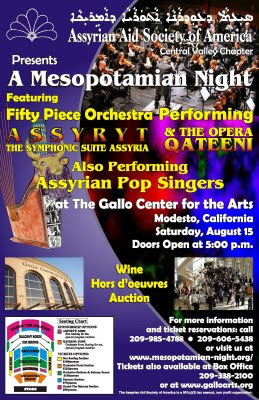 All the details of the Mesopotamian Night 2009 concert are getting nailed down by the minute. This year's event will provide yet another historical unprecedented showcase of Assyrian culture and music. Make sure to reserve your tickets early on to secure best seating.